Apple and Samsung have been battling it out for years, taking on each other’s phones in print and TV advertisements. After the unveiling of the iPhone X in September, Samsung released an ad titled “Growing up” to boast about the qualities of its latest Galaxy phone. The minute-long Samsung video follows an avid iPhone user who seems to become disillusioned with the Apple brand over the years. In the end, the main character switches to the new Galaxy phone after passing a man waiting in line for the iPhone X (the man’s hairline is even styled to mock the X’s notch display). 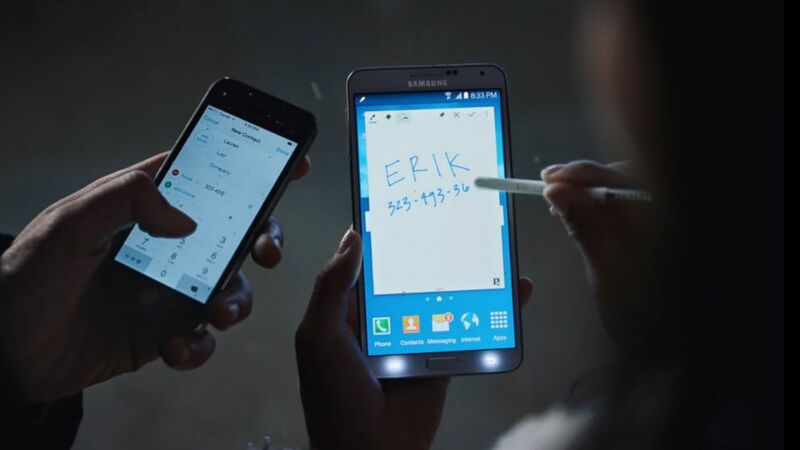 The ad concludes with the tagline “Upgrade to Samsung,” a veiled reference to Apple’s products. Now, Motorola has put together an ad that bests Samsung’s message: “Up-upgrade to Motorola.” Motorola even hired an actor that looked eerily similar to the main character in Samsung’s ad. In Motorola’s ad, which showcases its new Moto Z2 Play smartphone, the lead actor appears envious of his girlfriend’s Moto Z2. As of the third quarter of 2017, Samsung’s worldwide market share was 22.3 percent compared to 12.5 percent for Apple, according to International Data Corporation. Motorola has an estimated 5 percent of the global smartphone market. Data from Strategy Analytics shows that Motorola shipments have almost doubled since the third quarter of 2016.